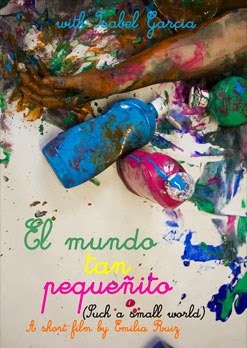 NMIFF welcomes the entry of a short film "El mundo tan pequeñito : Such a small world " from Spain, DIRECTED by Emilia Ruiz. "Isabel is an octogenarian woman who lives alone at home and hardly relates to her neighbors. She hasn't slept much the night before and the day seems longer than usual. Absorbed in her memories and daily activities, Isabel will come across a feeling that has lived within her throughout her life."